Here are a few shots of "Peter", built by my friend and fellow modeller Diego Lopez, from Seville, Spain. 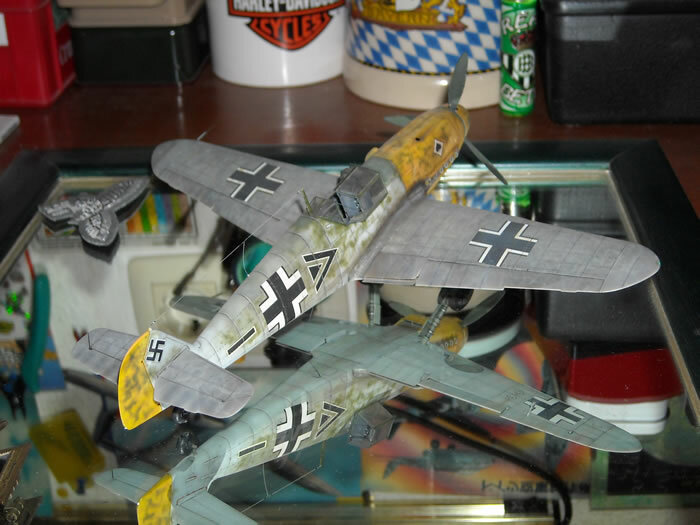 It is the Hasegawa 1/48 Messerschmitt Bf 109 F kit. 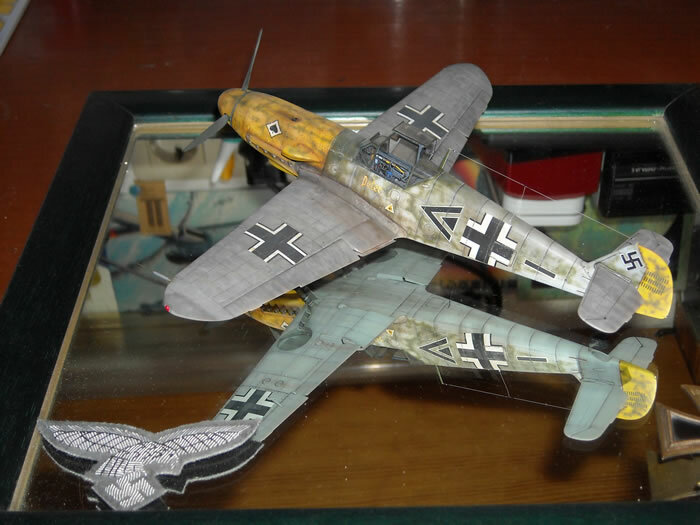 Diego won several national contests with this model, and it appeared in Wing Master Magazine. 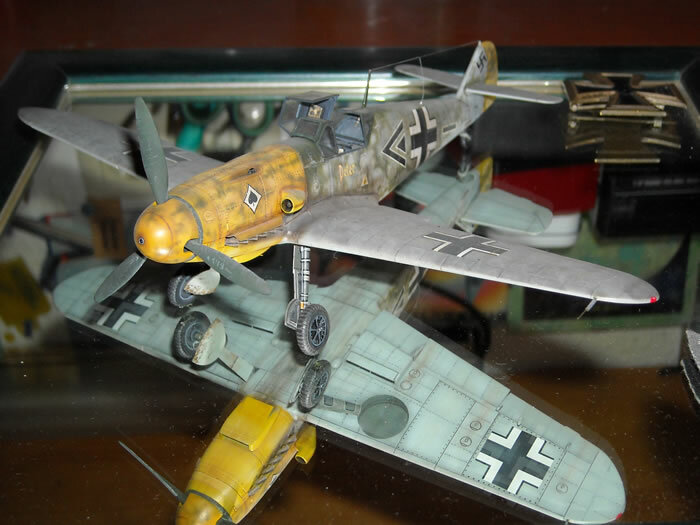 Excuse the poor quality of the images (I think that I am a better modeller than photographer). I have this superb "Messer-kit" as a gift from the author. 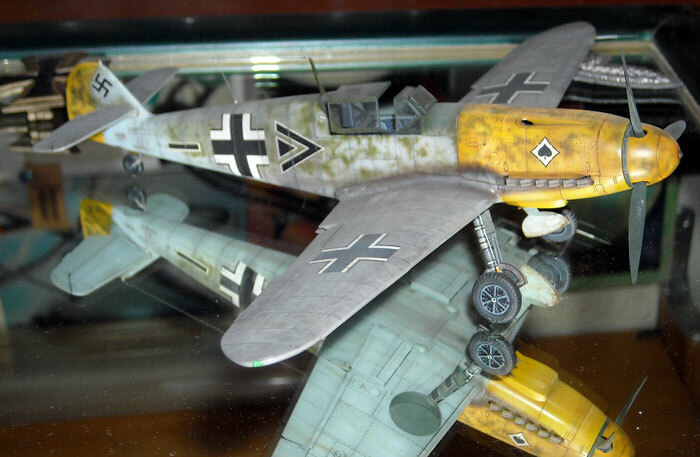 It is painted with Tamiya and Gunze acrylics and a very skillful hand for airbrush mottling.